Several health insurers have sued the U.S. government over its failure to make cost-sharing reduction payments that help lower healthcare costs for certain consumers. One just scored the first victory. The U.S. Court of Federal Claims ruled in favor of Montana Health Co-op, which sued the federal government for $5.3 million in unpaid cost-sharing reduction payments, finding that the government violated its obligation under the Affordable Care Act when it stopped paying the CSRs in October 2017. "This decision is an important win for Montana Health and the healthcare industry, generally, which has a significant stake in the CSR cases," said Stephen McBrady, a partner at law firm Crowell & Moring, which represented Montana Health in the lawsuit. The central issue in the case was whether the U.S. government was legally obligated to provide Montana Health with CSRs, which are paid to insurers to reimburse them for lowering the out-of-pocket healthcare costs for individuals with incomes up to 250% of the federal poverty level who buy insurance on the ACA exchanges. The government argued that it did not have an obligation to make those payments because Congress never appropriated any money for that purpose. The CMS has paid insurers CSRs since 2014, but the Trump administration opted to cut off those payments in the fourth quarter of 2017. Insurers were still required by law to lower out-of-pocket costs for eligible individuals despite not being reimbursed, and so they raised 2018 premiums to make up for the missing CSR payments. At the time, the National Association of Insurance Commissioners said ending the CSRs would cost insurers $1 billion in 2017 alone. Health insurers including Montana Health argued that the federal government was obligated to pay the CSRs despite the lack of an appropriation to fund the payments because a provision in the ACA—Section 1402—said so. Judge Elaine Kaplan in the U.S. Court of Federal Claims agreed. "The statutory language clearly and unambiguously imposes an obligation on the Secretary of HHS to make payments to health insurers that have implemented cost-sharing reductions on their covered plans as required by the ACA," she wrote in the order issued Tuesday. 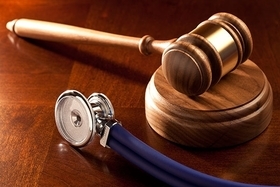 Kaplan agreed with part of the Federal Circuit ruling in a recent lawsuit by insurer Moda Health Plan against the U.S. government for failing to make payments under the ACA's risk-corridor program that the U.S. government's obligation to make payments is created by a statute, not the presence of Congressional appropriation. Kaplan denied the government's motion to dismiss Montana Health's complaint and granted the insurer's cross-motion for summary judgment. The federal government is likely to appeal the decision, said Katie Keith, a researcher at Georgetown University's Center on Health Insurance Reforms. Several other lawsuits related to the CSR payments, including those by Maine Community Health Options, Sanford Health Plan and Health Alliance are in various stages of the court process. Also, Judge Margaret Sweeney of the U.S. Court of Federal Claims in April granted Wisconsin-based Common Ground Healthcare Cooperative's request for class-action status, allowing health insurers to sue together as a class to challenge the federal government's failure to pay CSRs.